Charlie Sheen hasn't spent all of his money on crack and hookers ... in fact, the Warlock has announced he's donating ONE MILLION DOLLARS to support our men and women in uniform. 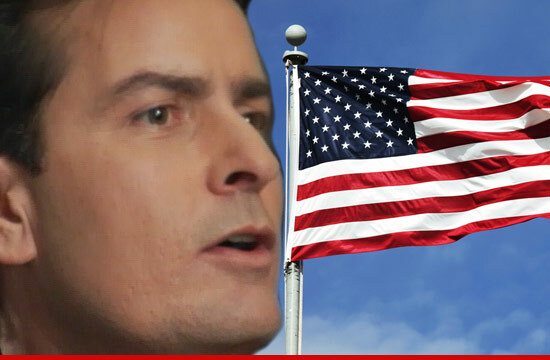 Sheen has pledged to give at least $1 million to the U.S.O (United Service Org.) ... the largest single contribution the USO has ever received from an individual. Sheen says he will donate 1% of the profits from his "Anger Management" earnings ... with a minimum of $1 mil ... and an unlimited cap. So the more $ he makes from his show, the more $ goes to the USO. Sheen also released a statement saying, "It’s an honor for me to be able to give back to these men and women of the military who have done so much for all of us."